Almost a month after the funeral of Sgt. La David Johnson, questions remain as to how he was killed and what was in the casket his wife hovered over and said her last goodbyes to in October. 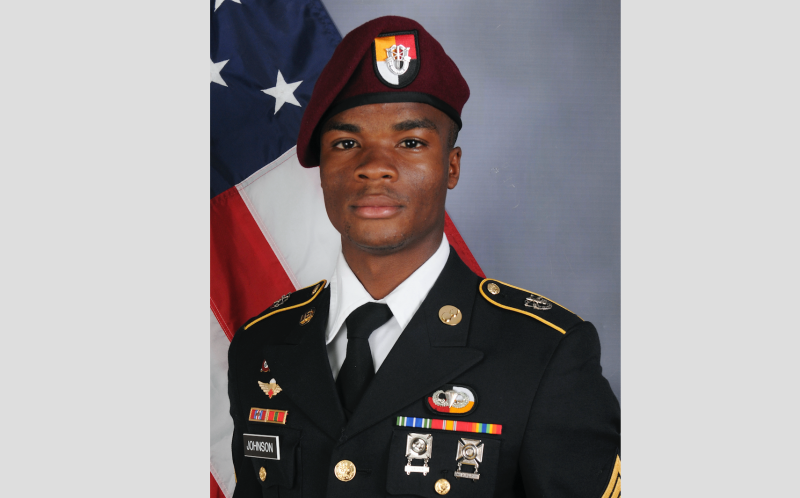 According to CNN, more remains of Johnson and the three other soldiers who were killed in an October ambush by ISIS, also known as the Islamic State group, in Niger were found and identified, according to a U.S. official. The discovery of Johnson’s remains raised questions as to how he actually died, and the fact that President Donald Trump stated, “He knew what he was getting into,” along with his overall lack of remorse, created a firestorm. When Johnson’s wife, Myeshia Johnson, spoke to Good Morning America last month, she stated that she still had no idea what or who was in the casket during his burial. The Department of Defense issued a statement Tuesday confirming that Johnson’s remains have been identified. One has to wonder what the DOD is attempting to hide, and whether or not Myeshia Johnson will ever get the answers she deserves. Read more at CNN and ABC News.